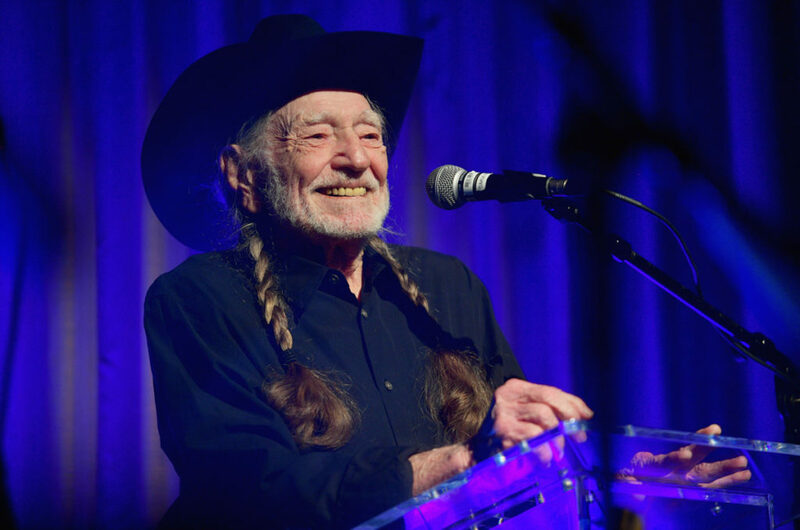 Country-pop maverick Kacey Musgraves gave a warm testimonial to fellow Texan Willie Nelson on Wednesday as part of a Grammy-week salute to the veteran singer-songwriter by the Recording Academy’s Producers & Engineers Wing. Musgraves essentially described him as nation’s ultimate unifier. Everyone except, apparently, the fire marshal. 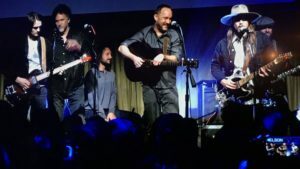 A few minutes later, when Nelson ambled onstage to accept the award and offer a short performance accompanied by his musician sons Lukas and Micah as well as special guest Dave Matthews, he acknowledged the importance of those bestowing it on him. Aboard his celebrated tour bus earlier, Nelson elaborated, saying that he’s grateful for the often under-recognized work that allows him to focus on the uniqueness of his vocals and the emotions conveyed in the music and lyrics in his songs rather than simply fighting to be heard. For nearly a dozen years now he’s been making the most of a working collaboration with Nashville-based veteran songwriter, producer and publisher Buddy Cannon, who told the crowd during his time at the mike that they’ve, so far, recorded 207 songs together since they began working together in earnest after Cannon met Nelson in 2007 while producing an album for Kenny Chesney. That’s a big part of Nelson’s prodigious output in recent years: He’s been releasing at least one, sometimes two and occasionally three new albums a year. Two of his most recent — “Last Man Standing” and “My Way,” both released last year, have earned him two more Grammy Award nominations, bringing his lifetime Grammy nomination count to 51. And he’s letting no moss grow under his boots. He has another album in the pipeline targeted for early summer release, including at least one of several duets he recently recorded with Irish musical mystic Van Morrison. And despite the evening’s accolades from the record industry’s tech community, which sweats daily over finding the right microphone, cables and sound editing software for each project, Nelson, unlike his audio-obsessed pal Neil Young, doesn’t spend a lot of time worrying about that side of making music. This entry was posted on Monday, February 11th, 2019 at 6:48 pm and is filed under Awards and Honors. You can follow any responses to this entry through the RSS 2.0 feed. You can leave a response, or trackback from your own site.